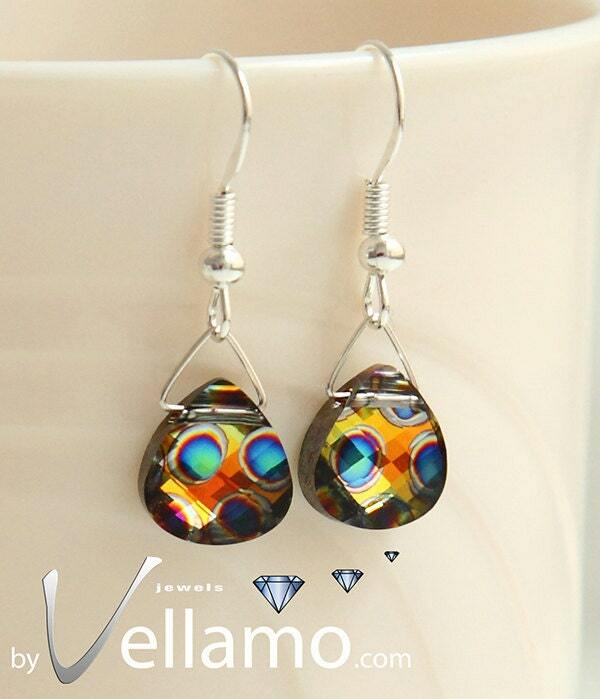 Delicate small sterling silver earrings with peacock multi-colored Swarovski crystals. Very sparkling and interesting looking crystals. The earrings come in a beautiful gift bag, ready to give as a gift!